Published: April 19, 2012, 2:20 p.m., Last updated: April 19, 2012, 5:49 p.m.
Clinicians and AIDS workers have condemned Imuniti Holdings for claims it is making about its nutritional supplements. Henry Stassen, from Edge to Edge Investments, which distributes for Imuniti, says the company manufactures a nutritional pack that eradicates HIV. The company has a manufacturing plant in Klerksdorp in North West Province. It is currently distributing the nutritional packs on a three month trial basis via an organisation called Mothers Unite, an organisation concerned with child welfare. Mothers Unite distribute the packs from Imuniti's branch in Nyanga, Cape Town. However, the organisation is concerned about the company's claims. 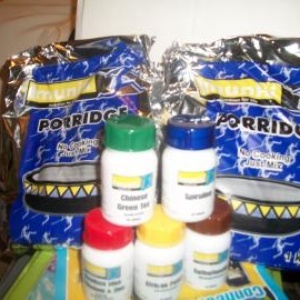 Jerry Gordon, the organisation's director, dismissed the claim that the nutritional pack is an HIV treatment. She does however believe that Imuniti's product has good nutritional value, but emphasises there is no scientific evidence that their nutritional packs cure HIV. “These are ruthless business people without any medical background," she said. GroundUp has learned that Emergency Medical Services Western Cape pulled back from a possible partnership with Imuniti after hearing claims that the pack eradicates HIV. These claims stem from a clinical trial by Imuniti on only seven people. Amelia Mfiki, a treatment literacy coordinator for the Treatment Action Campaign said, "The only proven treatments that suppress HIV from multiplication in the body are antiretrovirals. We have no information that there is a scientifically proven medication that cures HIV." Henk van der Merwe, director of Imuniti Holdings says they will be starting with their second phase of clinical trials in Kwazulu Natal in April 2012. He said that the first phase of clinical trials was done on a group of seven people in Cote d'Ivoire. He claimed that after taking the nutritional pack for three months they came back with a viral load that was undetectable. But Chris Maxon, media liaison officer for the MEC of Kwazulu Natal, said that the MEC disputed claims made by Imuniti about his province and has expressed displeasure against people claiming to cure HIV/AIDS. They have established a sub-committee to come up with ways to deal with companies making claims that their products treat HIV. He further said that people must adhere to their antiretroviral treatment because in KZN about 20,000 people who began treatment since 2006 have been lost to follow up. He explained that one in three people initiated on antiretrovirals refuse to continue with their treatment due to traditional medicine. He further stated that he does not approve research proposals. Andy Gray, a senior lecturer in pharmaceutical science from the University of Kwazulu Natal, says the question is whether the pack is registered as a food or medicine. If it claims to have antiviral properties it must be registered with the Medicines Control Council (MCC). “A trial in seven people looks exploratory; it’s a very small sample and antiretroviral trials often need thousands of people to prove effectiveness,” Gray explained. Medicines that are still being tested may not be promoted, tested or sold to people. This includes free distribution. It is illegal and unethical, he said.